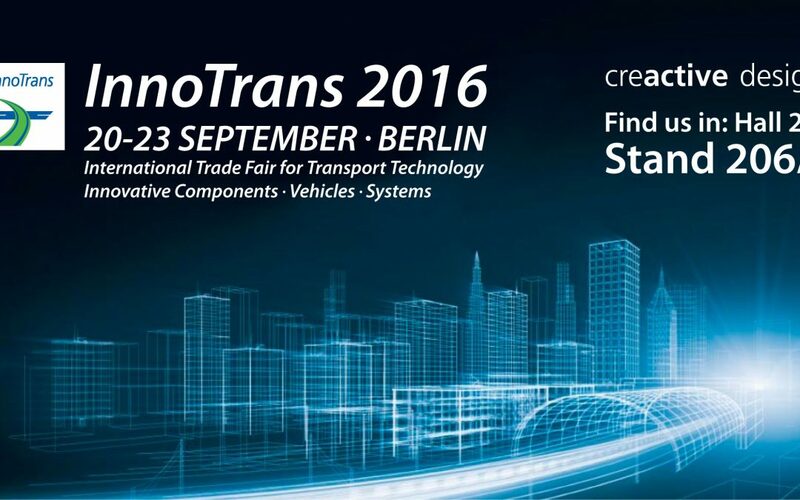 Creactive Design InnoTrans Berlin 2016 – we will be exhibiting at the leading international trade fair for transport technology which takes places every two years in Berlin. Sub-divided into the five segments Railway Technology, Railway Infrastructure, Public Transport, Interiors and Tunnel Construction, InnoTrans 2016 occupies all 41 halls available at Berlin Exhibition Grounds. The InnoTrans Convention, the event’s top-level supporting programme, complements the trade fair. For the first time in 2016 the Bus Display offers vehicle manufacturers the possibility to demonstrate busses on a static display area and the adjacent Demonstration Course. InnoTrans is organised by Messe Berlin. 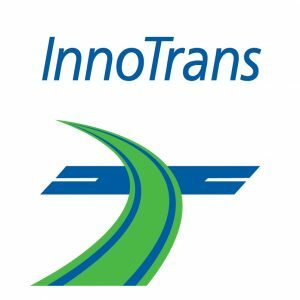 The eleventh InnoTrans will take place from 20 to 23 September 2016. Creating successful new products needs experienced specialists. Great trains from great people. Design and engineering consultancy Creactive Design draws on many years of experience to develop trains and transport solutions for Rail, Metro, Inter-urban, Inter Regio, Inter City and High Speed railways. We are responsible for the design of world-class rolling stock for a wide range of operators and train builders. Creactive has many long standing relationships with clients including MTR, Arriva, London Underground, Mitsui, J-Trec, Hyundai Rotem, Iarnrod Eirrean, Chiltern Railways, Itochu and Kawasaki. Transforming old trains or creating new build vehicles, developing a brand or establishing innovative new products, we are able to create value for our clients whilst meeting the emotional wants and needs of their customers. With an experienced eye on the big picture and small but important details including the technical requirements of the railway details such as exterior design, livery, brand, ergonomics, dwell time, safe environments, seats, tables and innovation, we are equally at home on a high speed train, metro or light rail vehicle. We are proud of an approach driven by informed customer experience to establish enduring and attractive solutions.